This week I have had the chance to participate in some great Professional Learning about Computer Science. 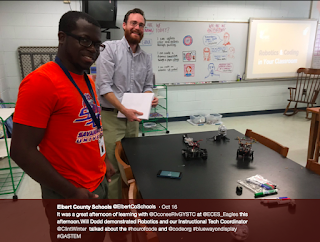 On Monday Will Dodd from GYSTC came to the Elementary school and led Professional Learning on robotics in the classroom. 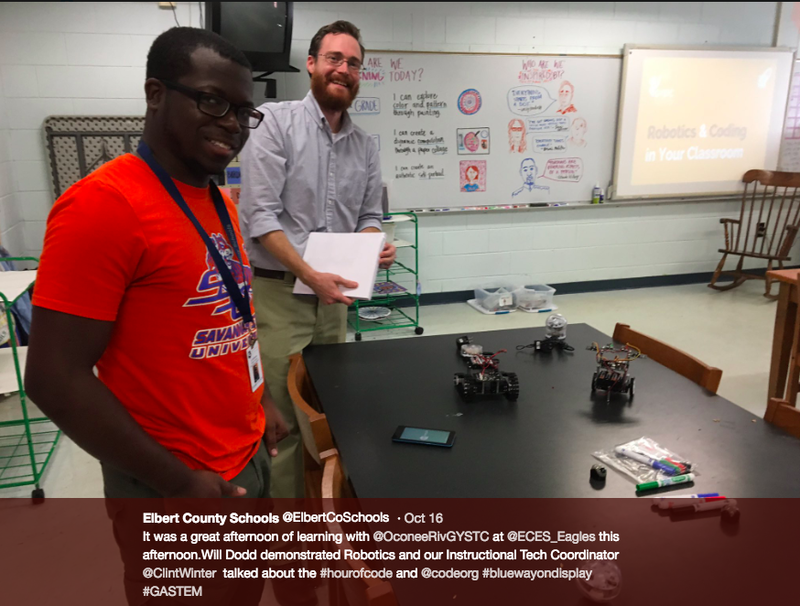 I was able to share what I know about letting students know how to code using the free resources on Code.org. Also, I was able to learn about how Artificial Intelligence and Virtual Reality are changing the way Professional Athletes train. Bottom line, I believe that this is a skill that all students need to have knowledge about. There will be jobs that will be available for our students that do not even exist yet. I'm the father of six year old twins and I sometimes have to take a minute for that to sync in. It just makes me sit back and think about how I need to teach and preach my two to be open to new things, be open to change, and apply the skills and think creatively. The world is wide open to innovators. So, there are a few easy ways to start making this available to our students. Introduce our students to the Hour of Code - Code.org is a great resource for ANYONE to learn about coding. Students are introduced to games that teach them how to computer program. This is a free resource and has lots of great videos and activities. . Here is a great video of Professional Athletes talking about Coding. 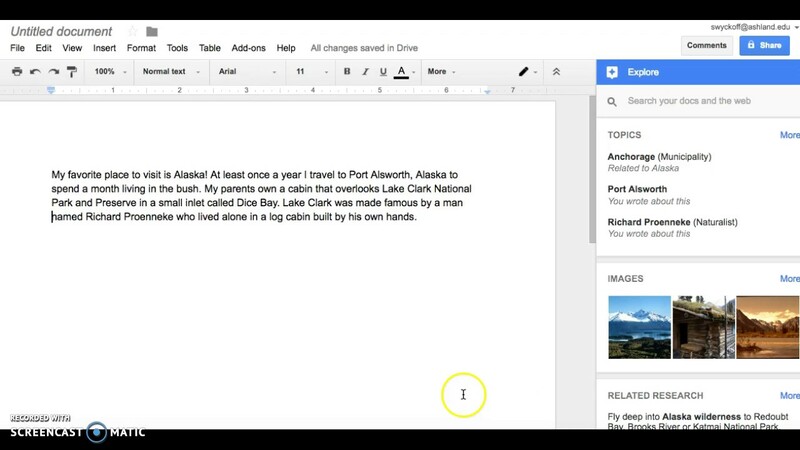 Try using the Artificial Intelligence within our Google Suite - Artificial Intelligence is "machine learning" the Explore feature within Google Docs, and Google Slides predicts things based on our text. For example, a student might be researching and writing about the Solar System. By clicking on the explore option a side bar comes up and can help the student research and find pictures, articles, etc. . . based on the content of their paper! The explore option also works with Google Sheets, and Google Slides. Thanks so much for reading and please let me know if you have questions. I'll leave you with this video that came out from Boston this week. Mind blown! Wow - a little scary, but - Wow!